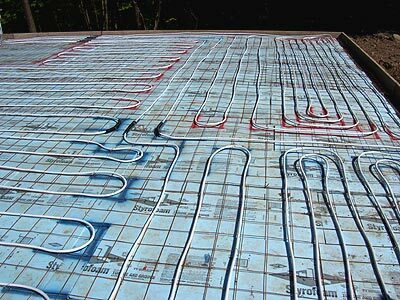 A radiant heat system is not actually a heating system, but rather a means of delivering and distributing heat. Piping or tubing is placed under a floor and hot water is circulated through it. Delivering heat via this method, rather than baseboard radiators for instance, allows you to provide comparable heat with lower water temperatures, thereby saving fuel. 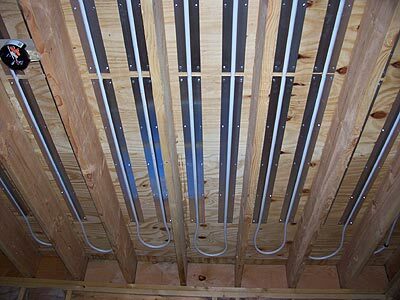 Above all, radiant heat is a healthy, comfortable heat with no drafts.